One more idea for your home photography business is to publish a book featuring your photos. Some of my friends used Blurb.com to create and publish their books, and these books look great! You can choose different formats and types of paper and personalize your design. You don’t need to pay anything in advance – the only required investment is your time and creativity. Maybe you will want to order a copy of your book for yourself to make sure that everything looks exactly the way you want, but then you can choose a “print on demand” option, and a copy of your book will be printed only when someone orders it. Another option is “offset printing” – for 750 copies and more – you have to pay for the entire print run up front, but each copy is cheaper than printing on demand, so it will pay off in the long run. When you book is ready, you can set it up for sale on Amazon, through your own Blurb selling page, or with online retailers worldwide, including Instagram. Or you can print some copies in advance and distribute them yourself among your friends or during photography-related events like exhibitions or workshops. It is easy to create a great photo book with Blurb, but you also need to have some self-promotion skills, and ideally a website or a blog where you could promote your book. – Travel photobook: a book about places you visited. – Instagram photos – a selection of your best and most creative images (Blurb offers a special square format for Instagram Photo Books). If you have a website, you can also become a Blurb.com affiliate and earn commissions promoting their service and referring your friends. 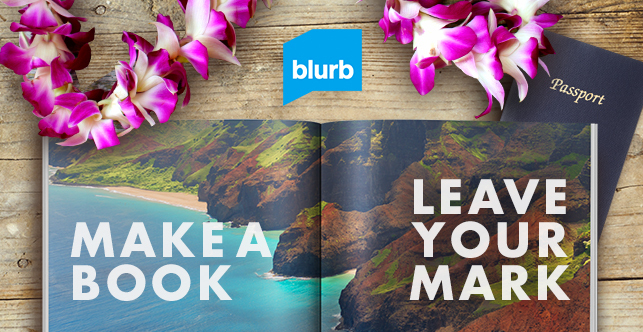 As an affiliate, you might get a special offer from Blurb to publish your own book for free!